Today we proudly reveal the latest new bird in our Birdorable Bonanza 2012: the Victoria Crowned Pigeon. The Victoria Crowned Pigeon is the world's largest species of pigeon. They are easily recognized by their unique and beautiful wispy crests of head feathers. These big beauties were named in honor of the longest reigning British monarch (so far) - Queen Victoria. They live in Papua New Guinea, where they prefer a woodland-type habitat. Victoria Crowned Pigeons mate for life, and usually raise just one chick per year. Like many other pigeon species, they breed easily in captivity, and are commonly found in zoos and aviary exhibits. 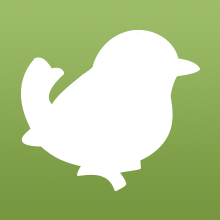 Tomorrow's bird is just a little thing, named after a flower. Can you guess what it will be? 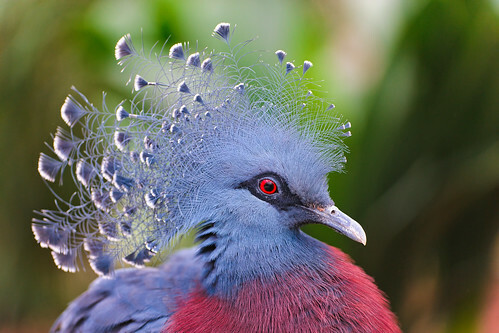 1 comment on "Bonanza Bird #10: Victoria Crowned Pigeon"